Price excluding VAT.(Incl. VAT £2,851.20) *VAT Relief available on this product. 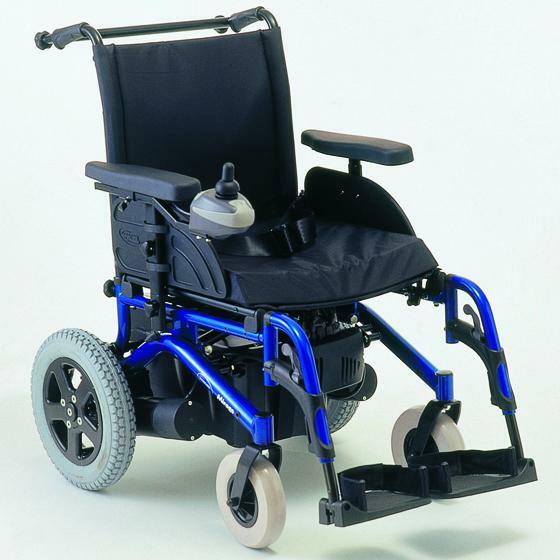 The Mirage is a basic powerchair that has received positive feedback for many years. This is because it is both simple, affordable and can be used both indoors and outdoors thanks to the compact design. Due to the modular style, it can be quickly disassembled and folded ready for transport or storage. The battery boxes will slide out to provide a comfortable lifting position. Another excellent feature is the “seat clamping system” which keeps the chair rigid when driving but releases pressure to make folding easier. This chair really comes into its own when in compact or confined spaces; meaning it would be perfect to use in your house, flat, garden, or public places. The padded seat and adjustable legrests will make sure that you find the most comfortable position. Also, the soft ergonomic armrests can be adjusted for height, depth, and width. For safety, a seat belt is provided as standard. Many features can be added as an extra to suit your lifestyle. The Mirage can be fitted with a tension-adjustable backrest, a spring-operated recliner, a "comfort" cushion and headrest, or a kerb-rider if you require it. The Invacare Mirage remains a highly customisable powerchair with excellent comfort, manoeuvrability, and performance. If you’re interested in the Mirage powerchair or anything else within our wide selection of mobility equipment, please call us on 02392 255600. We’d be more than happy to help.